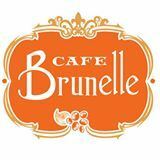 Meet at Cafe Brunelle on the back side of Chenal Promenade, 17819 Chenal Pkwy, Ste C-129, Little Rock. If the rain is just clearing out, call to confirm the time. The ride will be about 35 miles to get to Lake Norrell and return. We'll stop for water on the return.